How To Exfoliate Your Face For The Best Shave EVER! Exfoliation should be a part of any man’s comprehensive skin care routine. But like any induction of a new skin care product, it’s important that you follow some of the loosely defined rules that skin care experts recommend for best results. While you should always exfoliate before shaving your face, there is a lot more going on than just this simple answer. 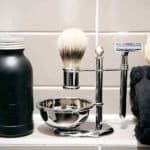 That’s why we wanted to dedicate this short article letting you know just why it’s so important to follow a skin care and shaving regimen in the right order. 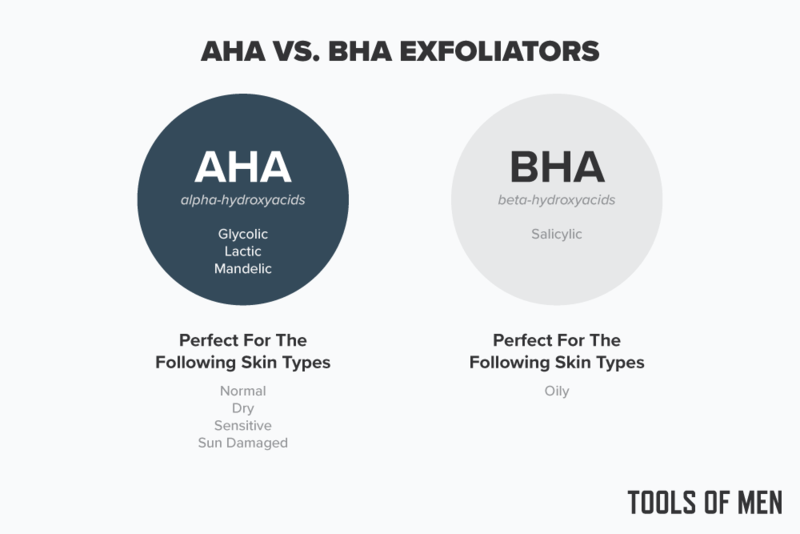 Not only are we going to talk about what the exfoliation does for your skin (hint: will make your shave WAAAY better), but we also want to talk about its implications on your shave brush, razor blade, and your skin as a whole. …after all, technique and product selection are EVERYTHING when it comes to exfoliating. 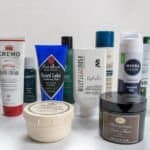 Assuming you already have an exfoliator in hand (if not, check out our roundup of the best exfoliators for men), you will want to make sure that you cleanse your skin first. …especially if you live in a large urban area like L.A. or NYC where there is no shortage of pollution and god knows what else floating in the air. To being with the exfoliating process, you are going to want to get an exfoliator that was designed for a man’s skin. Well our skin is much more rugged and thicker than that of a woman’s. Therefore, we should be using products that are geared for us. Secondly, you want to make sure you don’t use an exfoliator with beads. Not only will this likely give you poorer results, but they are also incredibly bad for the environment (source). Assuming you are using an exfoliator like this one from Kyoku that relies on ground up walnut shells to get deep within your pores, you should get the best results. Apply about a dime sized amount and spread between both your index and middle finger and rub gently onto the surface of your skin. This gentle rubbing of your skin will help to loosen dead skin cells and bacteria from the surface making way for much clearer and cleaner pores. You will want to make sure you get your T-zone (forehead and nose), cheeks, and chin area. Be sure not to go around your eyes as this area of your skin is much more fragile compared to the rest of your face. 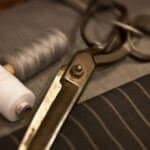 The entire process shouldn’t take longer than a couple of minutes. Note: Instead of using your hands to scrub your face, you can also use wash cloths, face brushes, or automated brushes like this one from Clarisonic. While the word chemical may sound scary, it’s actually considered be a much less abrasive than physical exfoliation (covered above). Chemical exfoliators fall into two major categories AHA and BHA. 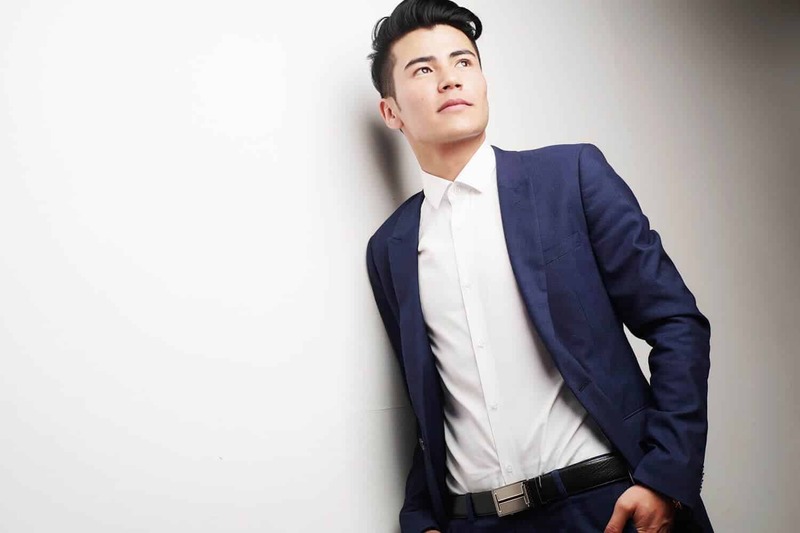 In short AHA (alpha-hydroxyacids) should be used for men with normal, dry, sensitive, and sun damaged skin types. Common AHAs include glycolic, lactic, and mandelic acids. Opposite of AHA is BHAs (or beta-hydroxyacids). BHAs are perfect for men with oily skin. Therefore, you will want to use an exfoliator that relies on salicylic acid as it will dissolve the oil and go straight into the pores and remove the dead skin cells. Apply completely evenly through your face (many may be applied via wipes as opposed to a liquid solution). While many may think that washing with ice cold water is necessary to finish off the exfoliation process, that’s just not true, especially if you plan on shaving afterwards. Lastly, you shouldn’t exfoliate before every shave. In fact, you should only exfoliate a few times a week at most. Being that exfoliating will get deep within your pores to clear out all the gunk, it only seems logical that you should be doing this after you are finished shaving…right? Remember, we were just saying that you should only exfoliate a few times per week. The reason being is that exfoliating still puts a great deal of stress on your skin and its natural moisture barrier. While its considered good hygiene to clear out the dead skin cells when possible, over exfoliating will cause many adverse affects including sensitive or dried out skin. In addition, those who deal with acne on a regular basis may discover an uptick in acne production as your skin is trying to overcompensate in oil production even though you are clearing out the oils. When you shave, be it with a cartridge or safety razor, you are essentially doing another exfoliation on your skin. Lets not forget, when you shave, you are dragging a sharp metal blade across the surface of your skin. Therefore, what you may not have cleaned out through a mild exfoliation has likely been removed with your razor. 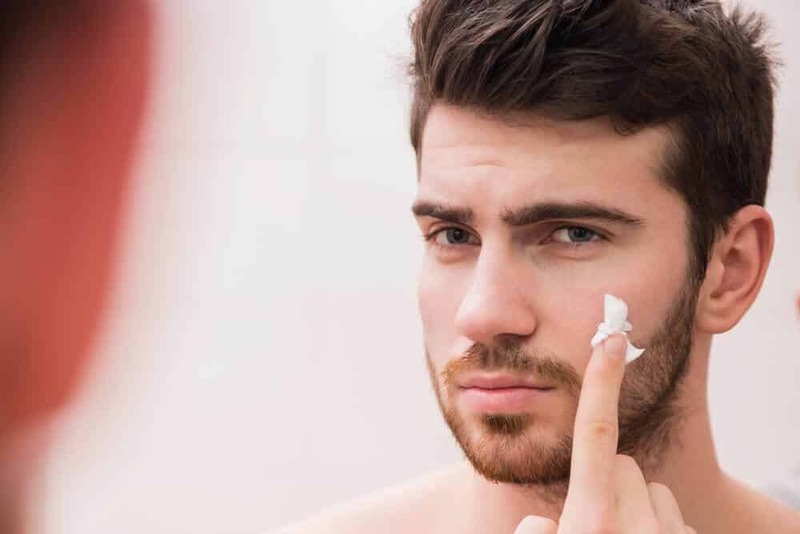 When you exfoliate prior to shaving, you are effectively clearing out all the bacteria and germs that would likely lead to irritation post-shave. Exfoliating after you shave just simply won’t deliver as good as results should you exfoliate beforehand. 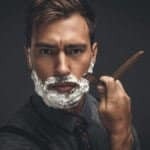 Now plenty of men like to keep with a medium to thick stubble look and may only find themselves shaving once or twice a week. In this event, you can exfoliate before you shave for better results, but even in-between shaves you can exfoliate a couple of times. Exfoliation in general is great for your skin. It helps bring the fresh skin to the surface while ridding the old and dead skin cells. Furthermore, when you exfoliate regularly, it will help you appear a bit more younger and help to diminish any fine lines and wrinkles (especially for those fine ones that might be appearing around your mouth). Now one of the things we often preach here on Tools of Men are the benefits of using a shave brush. This little tool, when used regularly will help to increase the comfort of any shave. 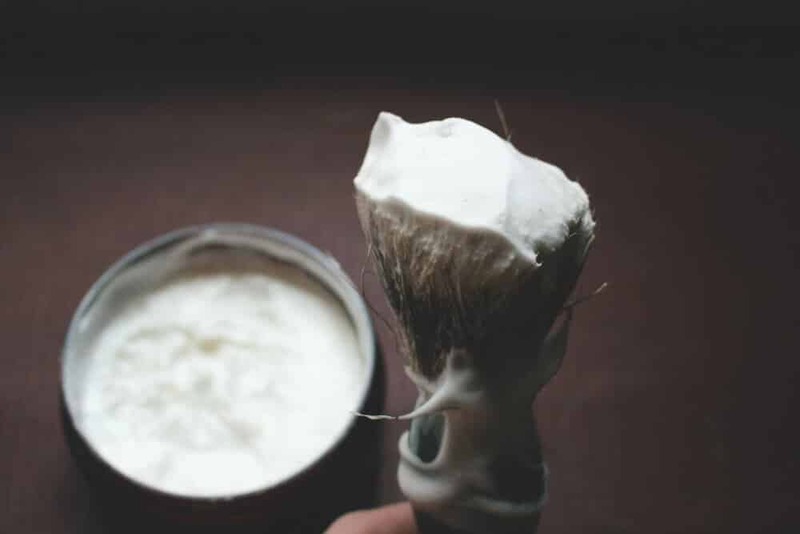 Used to generate a thick and rich lather from some of the best shaving creams on the market, shave brushes are extremely underrated. When you use a shave brush, its effectively substituting as a mild form of physical exfoliation. The badger brush bristles, especially those found on the silvertip badger hair brush, are key at knocking dirt free that is stuck at the base of your whiskers. This mild form of exfoliation may be just the cure if you have severely sensitive skin. 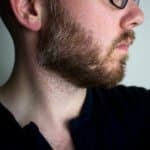 When you apply a shave cream with your hands, you often find yourself patting down the hairs on your face. 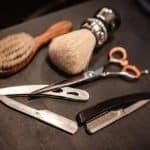 When your hairs lie flat, it makes it MUCH harder for the razor blade to get a clean cut on the whisker, ultimately requiring many more passes of the blade. 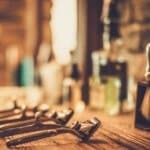 Whereas when you use a shave brush, it will help your hairs and make them stand upright – allowing for a much cleaner cut. If you exfoliate and shave, you will need to make sure that moisture gets to your skin one way or another. Two primary ways of doing this is either through a face cream or an aftershave balm. Both of which carry heavy amounts of emollients that will help your skin to retain moisture. Although you should be using these daily even if you weren’t exfoliating, we cannot stress enough the importance of these products into your regimen. From melting years off your appearance to providing mild SPF protection, face creams are what ‘I wish I had skin like him’ guys wear when scrolling through your Instagram feed. No, those aren’t filters they are applying to their face. It really just comes down to discipline and regular application of a moisturizer. I don’t know what it is about us guys, but for some reason its ingrained into our DNA that to get THE BEST results we need to scrub as hard as possible and generate as much bubbles as possible. Maybe it was from the days when we butchered meats in the caveman days, or perhaps when we used to shower with really crummy bars of soap, whatever the reason, the general rule remains for skin care products – don’t overdo it. Leaving things on way longer or scrubbing way harder won’t have better effects. So please, exfoliate and shave responsibly.